DETROIT -- High-level Volkswagen executives could face charges in the U.S. over the automaker's emissions scandal after the FBI arrested one manager and said executive management was informed about the existence of an emissions cheating device but chose not to disclose it to U.S. regulators. In a court filing Monday, the FBI accused VW of deliberately misleading regulators about cheating pollution tests in the U.S.
U.S. prosecutors plan to charge high-level VW executives based in Germany over the scandal, Bloomberg reported, citing a person familiar with the matter. The person did not say when charges will be filed against and whether they are planned against people still employed by the automaker. Herbert Diess, VW brand chief, was asked about the charges on the sidelines of the Detroit auto show on Monday. "Naturally I can say little about that," he told Automotive News Europe. "We simply have to accept that the investigations continue and we hope that we can soon reach a point where we put this behind us. But these are things that the management board itself has no knowledge of," he said referring to the investigations. "Naturally this is not good news for us at the show," Diess said. Diess declined to comment when asked if he expected further arrests of VW executives. 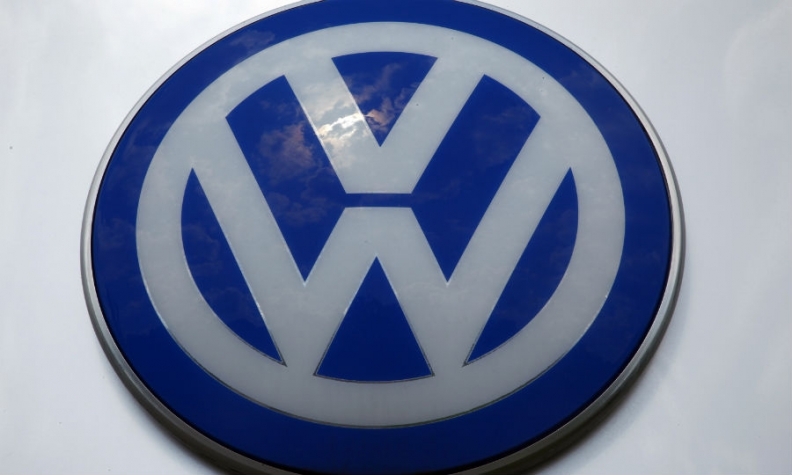 VW employee Oliver Schmidt was arrested Saturday on charges of conspiracy to defraud the United States in connection with the scandal. Schmidt and other employees gave a presentation to VW's executive management about the defeat device on or about July 27, 2015, the FBI complaint said. Schmidt, 48, appeared in U.S. District Court in Miami on Monday. He did not enter a plea and was ordered held pending a hearing on Thursday by U.S. Magistrate Judge William C. Turnoff. 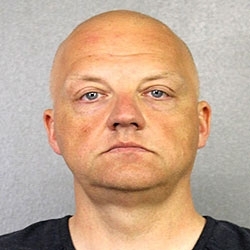 Schmidt, who was shackled and wearing a jail uniform, was charged with fraud and conspiracy in not disclosing a cheating device used to rig U.S. diesel emissions tests from 2006 through 2015. He was arrested on Saturday at Miami airport after attempting to return to Germany from a vacation, the Justice Department said. Schmidt's lawyer David Massey said Schmidt had learned of the investigation and reached out to the FBI to offer to cooperate. Schmidt then met with FBI agents in London last year, he said. The FBI complaint said VW employees assured VW executive management that U.S. regulators were not aware of the defeat device," the complaint said. "Rather than advocate for disclosure of the defeat device to U.S. regulators, VW executive management authorized its continued concealment." Schmidt and other VW employees prepared a chart with possible consequences from a meeting with California regulators. One of the "negative for VW" consequences was "there could be an 'indictment,'" the complaint says. According to an affidavit filed by FBI Special Agent Ian Dinsmore, internal VW emails and accounts from two anonymous cooperating witnesses from inside VW's engine development department and from James Liang, an engine department employee who pleaded guilty to fraud charges in September 2016, provided enough evidence to charge Schmidt. When the evidence first arose that something was off with VW's diesel engines, Schmidt wrote an email to another executive questioning whether the company should confess. "It should first be decided whether we are honest," he wrote. "If we are not honest, everything stays as it is." After several meetings in Germany, Virginia, Michigan and California, Schmidt and other executives in August 2015 came up with a plan to conceal the defeat device from regulators. Schmidt wrote an email to another VW manager explaining that one employee would not be coming to a meeting with California regulators "so he would not have to consciously lie." The complaint reads: "Nevertheless, in the summer of 2015, Schmidt agreed to travel to the United States to participate in direct conversations with U.S. regulators in which he intended to, and did, deceive and mislead U.S. regulators by offering reasons for the discrepancy other than the fact that VW was intentionally cheating U.S. emissions tests, in order to allow VW to continue to sell diesel vehicles in the United States." An unnamed witness, referred to in the complaint as "CW1" met with California regulators on Aug. 19, 2015 and "disclosed, in direct contravention of instructions from his management, that certain VW diesel vehicles used different emissions treatment depending on whether the vehicles were on the (testing) dynamometer or on the road, thereby effectively admitting that VW had cheated U.S. emissions tests." Schmidt headed the company's regulatory compliance office in the U.S. from 2014 to March 2015. In March 2015, Schmidt was promoted to a more senior management position within Volkswagen and returned to the company's headquarters in Germany. The U.S. affidavit against Schmidt lays out what could be a road map to charges against higher-level executives. The German constitution bars extradition of German nationals to foreign countries other than European Union members states. The law allows it to hand over Germans to international tribunals such as the The Hague-based International Criminal Court. Most senior VW officials are not attending this year's Detroit auto show, which is taking place this week. VW Group CEO Matthias Mueller stayed away from the show. VW brand chief Diess was the company's most senior representative. VW admitted in September that it installed secret software that allowed U.S. vehicles to emit up to 40 times legally allowable pollution levels. The company initially blamed a small group of "rogue engineers" for the test-cheating, and has repeatedly said no current or former board members were involved.